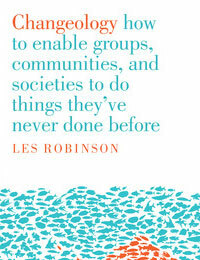 Changeology: How to enable groups, communities, and societies to do things they’ve never done before Les Robinson This book suggests that Change is like a pattern and that successful and sustained change efforts happen when six different ingredients come together. 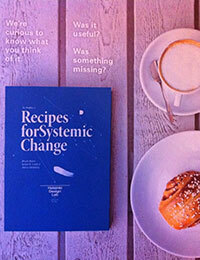 The book examines each ingredient in detail, aiming to capture the collective learning of many practitioners and theorists, giving inspiring examples, and examining the experimental research to explain why some approaches work and others don’t. You can also listen to the interview with Tim Brown here. 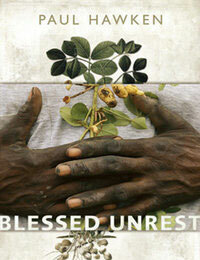 Blessed Unrest: How the Largest Social Movement in History is Restoring Grace, Justice and Beauty to the World. Paul Hawken This book is a manifesto of hope for the 21st century grounded squarely in the hearts of engaged people around the planet. In closing a chapter, Hawken writes: How do we sow our seeds when large, well intentioned institutions and intolerant ideologies that purport to be our salvation cause so much damage? One Sure way is through smallness, grace and locality. 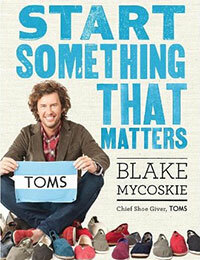 Individuals start where they stand and make the road by walking. 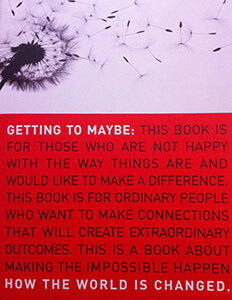 Getting to Maybe: How the world is changed. 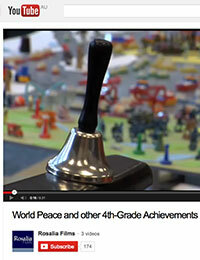 Westley, Zimmerman & Patton Many of us have a deep desire to make the world around us a better place. But often our good intentions are undermined by the fear that we are so insignificant that nothing we can do will actually make a difference. 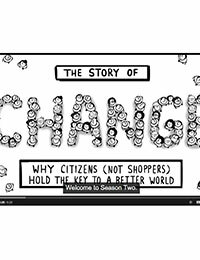 By studying fascinating real-life examples of social change through a systems-and-relationships lens, the authors harvest the experiences of a wide range of people and organizations, to lay out a brand new way of thinking about making change in communities, in business, and in the world. 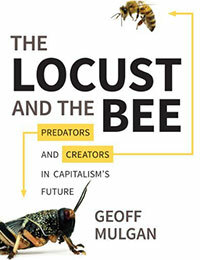 The Locust & the Bee: Predators and Creators in capitalism’s Future. Geoff Mulgan The recent economic crisis was a dramatic reminder that capitalism can both produce and destroy. It's a system that by its very nature encourages predators and creators, locusts and bees. But, as Geoff Mulgan argues in this compelling, imaginative, and important book, the economic crisis also presents a historic opportunity to choose a radically different future for capitalism, one that maximizes its creative power and minimizes its destructive force. This is a book for anyone who wonders where capitalism might be heading next--and who wants to help make sure that its future avoids the mistakes of the past. 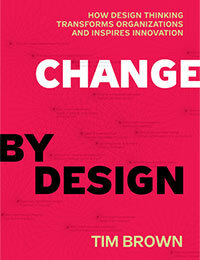 Change by Design: How Design Thinking Transforms Organizations and inspires innovation Tim Brown Tim Brown is the CEO of IDEO. This book introduces design thinking, the collaborative process by which the designer’s sensibilities and methods are employed to match people’s needs with what is technically feasible and a viable business strategy. 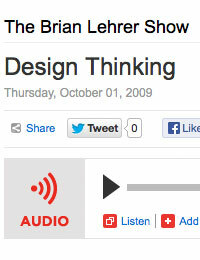 In short, design thinking converts need into demand. 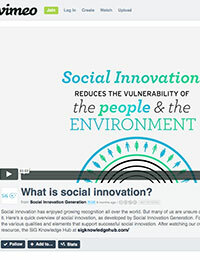 It’s a human-centered approach to problem solving that helps people and organizations become more innovative and creative. 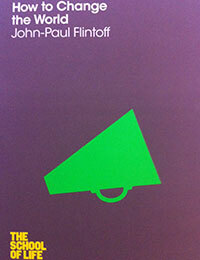 How to change the world: John Paul Flintoff This book offers a powerful reminder that through the generations, society has been transformed by the actions of individuals who understood that if they didn’t like something, they could change it. 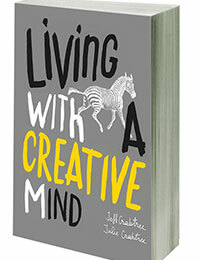 This book aims to equip you with the courage to overcome inertia and indifference, help you identify your own greatest concerns and inspire you to take that important first step towards change. 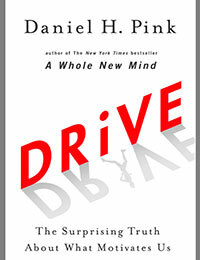 Drive: The Surprising Truth about what Motivates Us: Daniel Pink In this provocative and persuasive book, Pink suggests that the secret to high performance and satisfaction—at work, at school, and at home—is the deeply human need to direct our own lives, to learn and create new things, and to do better by ourselves and our world. 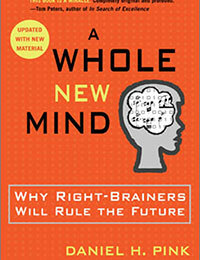 He demonstrates that while carrots and sticks worked successfully in the twentieth century, that’s precisely the wrong way to motivate people for today’s challenges. In Drive, he examines the three elements of true motivation—autonomy, mastery, and purpose—and offers smart and surprising techniques for putting these into action.